Marco Donati @ Mental Show Mix [episode 050] (Live on the Power-Basse.pl) 15.04.2013r. 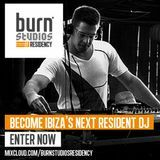 Marco Donati @ Exclusive Power Of music vol. 004 (Live on the Power-Basse.pl) 31.05.2014r. Marco Donati @ Athena Electronik Podcast &apos;POLONIA&apos; -28- (Live on the Athena Electronik) 15.10.2014r. 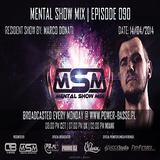 Marco Donati @ Mental Show Mix [episode 090] (Live on the Power-Basse.pl) 14.04.2014r. Marco Donati @ Wytwórnia (Rzeszów) &apos;&apos;Exclusive Power Of music - III Edycja&apos;&apos; 19.04.2013r.